We are a group of stylists and specialist that have one thing in common: strive for better customer services. No, we are not all related, but we've become one big family! 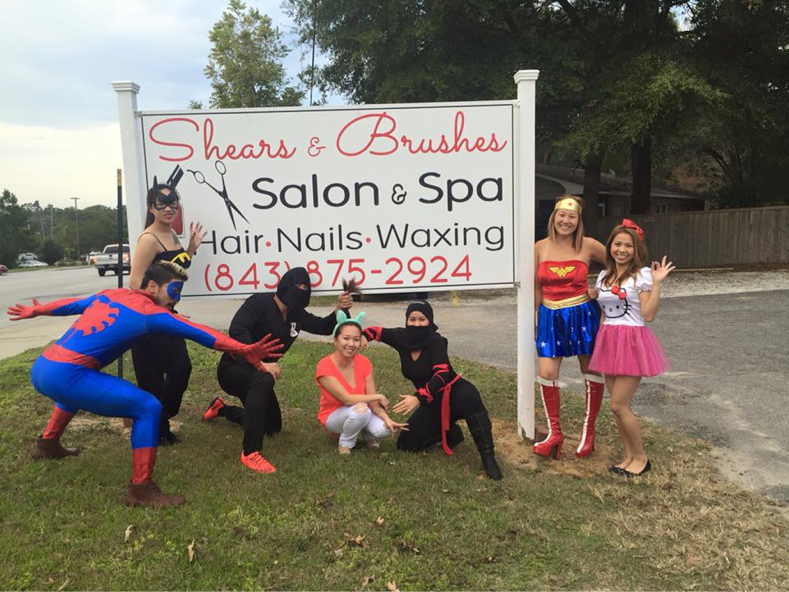 In 2007, we opened a nail salon (NAIL GALLERY & SPA) in a heart of Summerville shopping center now known as SAWMILL VILLAGE. As years gone by, business begin to grow and space becomes tighter. In 2014, we decided to invest into a commercial property that is bigger and with better parking, but the establishment is built as a house. We knew it was perfect place that describes us all: professional but makes everyone feel right at home! The salon is located 1 min from the previous location. We've also changed our name to SHEARS & BRUSHES. Because we've added haircuts, colors, perms, and other hair services.